Restorations created from scans are proven to be more accurate than other leading intraoral scanners and with a better fit. 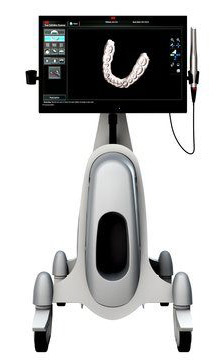 Scans more comfortable and less time-consuming and there are no messy impressions to deal with. Crowns can be created more rapidly and with less chance for error. 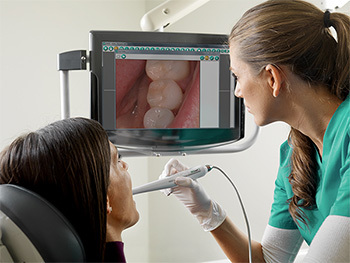 3M™ True Definition scanning technology can give a patient a clear and precise view of their teeth and gums. 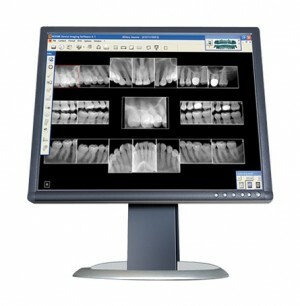 For years, traditional X-rays were the only way to diagnose cavities. While X-rays are still the most effective tool in revealing advanced decay, research shows that X-rays don’t always detect cavities in their early stages. 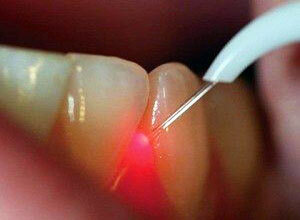 Luckily, our office uses DIAGNOdent® — a small machine that helps us find the first signs of tooth decay. DIAGNOdent has a 90 percent accuracy rate and we can perform an exam at your regular dental visit — quickly and without any pain at all. Late-stage cavities often require a more invasive “fix,” which can be costly. With DIAGNOdent, we can find your cavities earlier, often allowing us to offer you simpler and less-expensive treatment options. Please give us a call today to set up your next appointment or ask us about DIAGNOdent the next time you’re in our office. We look forward to seeing you and helping to keep your mouth healthy and your smile bright!